Today, python's use for science is pervasive, in domains as different as astrophysics, neuroscience, or econometrics. Realistically, writing code has become an essential part of most scientists. The goal of this talk is to explain why python became successful in science even though it is a generic programming language, and convince the non programmers that they can benefit from using some python in their scientific endeavour as well. After giving an overview of the main tools available in the scientific python ecosystem, I will give some concrete examples of simple tasks that can be fastidious but solved quickly with just a bit of python code, from data handling to data visualization. I will also give a few pointers to materials for people interested in sharpening their computing skills -- for science. Sucking out data from the observation device, molding of the data, updating the license file, writing permission application to be issued to the municipal office ... those are the work which is made to accompany the academic research. That is “research support works" indicated in the title. I will leave topic of so-called a nice state-of-the-art research to an impressive array of speakers like Real Madrid Galacticos. 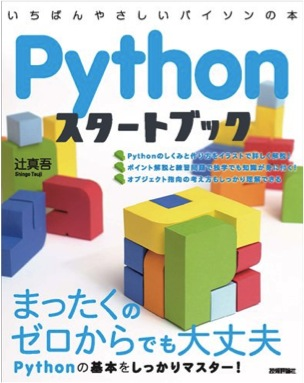 And I, who is a kind of casual user, will talk about the python which is used when you have to handle troublesome work. Takeshi Akutsu published Stapy研究会 in つくば（仮）.